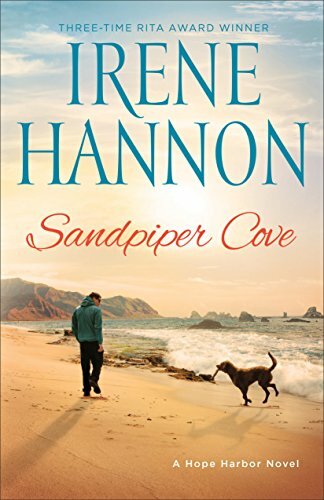 Find Yourself Between the Pages of Sandpiper Cove! Sandpiper Cove is a niche tucked away at Hope Harbor, a magical place that is home for some of the nicest people you could hope to meet. It's a place for second chances and surprising encounters. It would seem an idyllic little spot except for a string of unprovoked vandalism in their midst. It is also the place where two of the most unlikely people meet and unite efforts to put an end to the crimes. For ex-con Adam Stone, Hope Harbor is a realm so far removed from his painful youth. Moved by Reverend Baker's prison ministry, Stone was encouraged to settle there after he served his time. He was welcomed to his new church community and was blessed with the uncanny trust of his new boss B.J. Stevens as a member of her construction crew. His life was so much better until his place was vandalized not once but twice and his dog, Clyde was left for dead. Widowed Police Chief Lexie Graham, a single mother, moved back to Hope Harbor soon after the death of her husband. She is dedicated to her family and her job. Determined to keep her town safe she enlists Stone's help to find the vandals. What Lexie discovers about Stone is from that age old adage about not judging a book by its cover. He is rough around the edges but there is definitely more to him than meets the eye. As the story unfolded I was reminded of how little things we do touch others in a big way. It is so easy to be put off by appearances or base our thoughts on what others may say. Nothing about Stone is what Lexie believed at first. Aren't first impressions always right? Bestselling author Irene Hannon has a gift for developing characters in well designed plots. Whether she is writing about romance or a suspenseful novel like Buried Secrets you will find complex characters that will keep you guessing the outcome until the story culminates at the end. It is no small wonder that she continues to delight her readers. Sandpiper Cove is no exception. I enjoyed this entertaining book and the study in human nature. For my part, I was easily hooked from the beginning of this book and was sad to see it end. It is a compelling story with a community that beckons. I love the Oregon Coast and visiting coastal towns that are a lot like Hope Harbor. It is easy to recommend this latest installment of the Hope Harbor series, it is just that good. I just finished reading A Secret Courage (The London Chronicles Book 1) by Tricia Goyer. Travel with me to the countryside from London circa 1943 to Danesfield House. Hidden behind the doors of this beautiful manor estate are men and women doing their part to win the war in Europe. What they didn't know could have crippled their work and cost them their lives because a spy was in their midst! Espionage and intrigue made for those special discoveries that led to usurping air strikes that could have decimated Great Britain following the terrible blitz on London. The cast of characters were brilliantly written and each part played a role that suited their surroundings. Emma, our heroine was an American who traveled to England to study at Oxford. Her mother hailed from England and emigrated to America after marrying a soldier from the states after W.W.I. Emma joined the Women's Auxiliary Air Force soon after war broke out. Stationed at Danesfield House, her job was carefully studying aerial photographs taken over Germany for signs of anything out of the ordinary. Will Fleming, is a handsome Englishman who worked for the British government recording the changes in the landscape of the country through his painting. He and Emma met by chance at a bookstore while she and her friend Vera were on leave for a day. Vera, along with Georgette are Emma's friends and coworkers. These women work closely together and also share living quarters. The ladies lived in Nissen huts, which are what I grew up knowing as "Quonset huts. Adding to the intrigue was Berndt, who, as a handyman, seemed to be everywhere. Edward, the sergeant who was Emma's superior officer, supervised Emma and her coworkers. The work being done on this estate was paramount to the cause and security was strict. People who worked together didn't necessarily know all the pieces of a project or why locations of study were chosen. The timing was just as cryptic, making it difficult for the information to be cracked. Emma was a dedicated member of the W.A.A.F. who was vigilant in the secret nature of her work. Her only brother, Samuel, a pilot lost his life when his plane was downed. She mourned his loss greatly and she worked all the harder to contribute her best to the war effort. It was her fervent hope that if she could find an important clue while studying the photographs perhaps she could help save the lives of others. 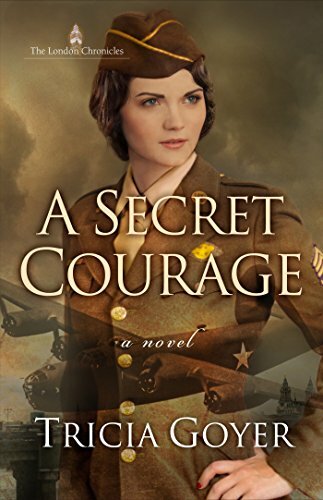 The plot of A Secret Courage was well constructed and the characters well written. All mysteries seem to have a red herring or two and while I had some suspicions, I'll admit I was surprised more than once. It is fun to guess an outcome but much better find that the author truly kept a mystery, creating a better book. I heartily recommend this book. I am glad that it is only book one in a series because I feel there is more to unfold in this story. Labels: A Secret Courage, Christian Fiction, Mysteries, Mysteries in English Country Setting, The London Chronicles, The War in Britain, Tricia Goyer, W.W.I.I. Long Time Gone Has a Plot With a Twist! 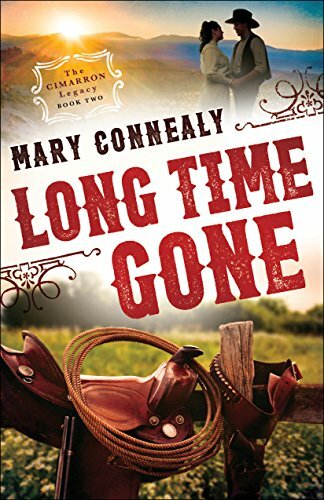 I recently finished reading Mary Connealy's Long Time Gone for review. Book 2 in the Cimarron Legacy the book will take you back on a trip back to the wild west days of New Mexico ranching. The Boden family has been beset with troubles as they fight to keep their ranch from rustlers who will stop at nothing to bring the family down. The story unfolds after a trap left Cole, the oldest Boden son nearly dead. That leaves Justin to manage the ranch while frantically searching for the reason behind this shooting and an avalanche meant to kill their father Chance. Only the quick thinking and training from ranch hand Heath Kincaid gave their father a fighting chance. Secreted away to a Denver hospital Chance and his wife are unwillingly apart from the fight being fought at home. The book is full of the usual rugged cowboys but what sets it apart are the strong women who know their way around the west. Sadie Boden is a crack shot and fearless in a fight. Newly married to Heath, they are a force to be reckoned with. Not content to sit around and become bait, she places herself in the middle of the whole fight. Enter Angie DuPree with the doc to nurse Cole. Winsome and wan, she is seemingly out of place in the novel but the west definitely had some strange bedfellows when it came to surviving ranch life without the finer things in life. If you crave tales of the old west, this book is for you. I think it only fair, however, to let you know that this is not a stand alone novel. Had I known this I would have read No Way Up, book one in the series first. For series followers, this will make a good set. Book three is sure to follow! Many thanks to Bethany House for an opportunity to try a new author.